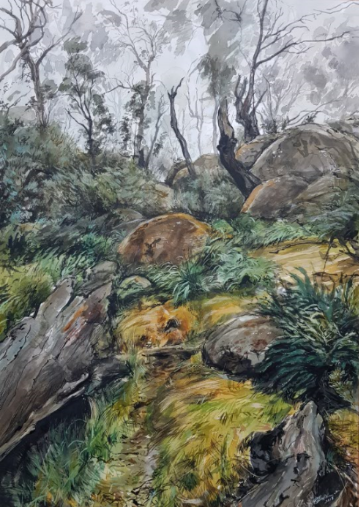 Phillip Edwards is an artist from (Daylesford) in the Victorian central highlands. 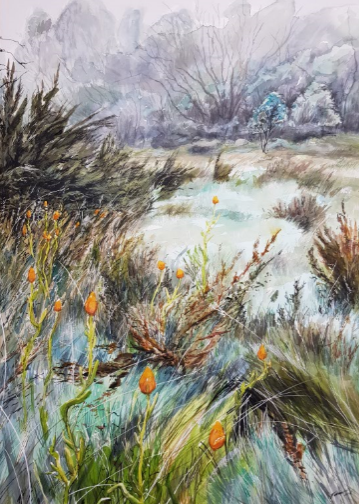 He studied Fine arts at The Victorian Collage of Art in the early 1990’s graduating with a Bachelor in fine art painting. 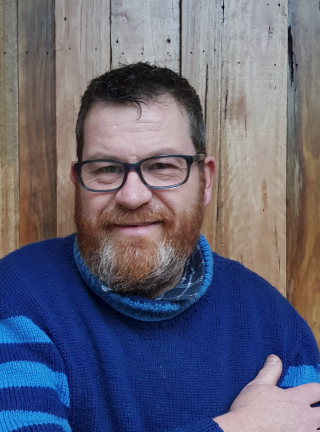 A former secondary art teacher of 16 years and small business owner, he now dedicates his time to painting and sculpture. 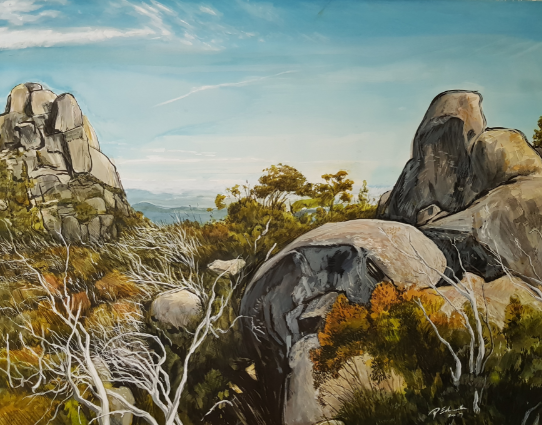 Of late he has been producing large scale majestic watercolours landscapes of Mt Buffalo in Central Victoria and more local scenes. 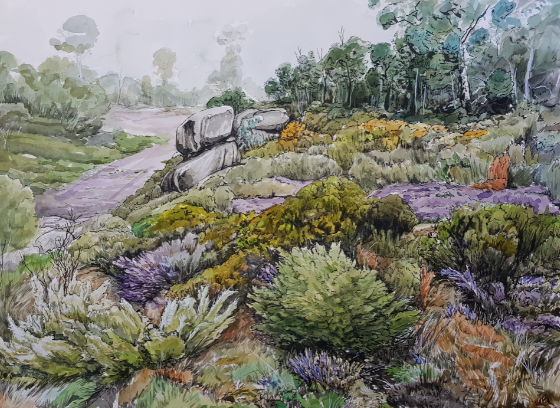 He was awarded the Trustees watercolour prize as a finalist of the 2018 Wynne landscape prize at the gallery of New South Wales. 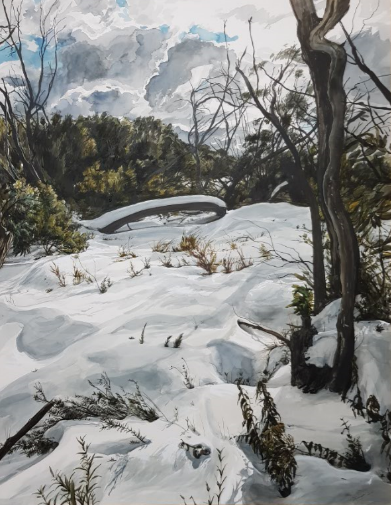 With 30 years art practice with multiple solo shows and group exhibitions in and around Melbourne he continues to refine both his painting and sculptural practice. 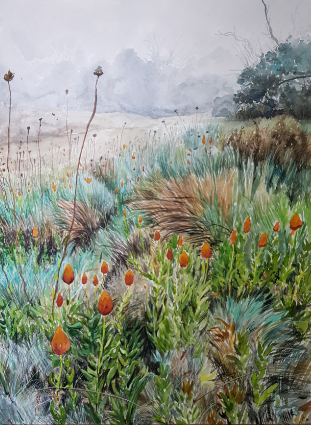 Edwards artworks are vibrant and expressive in technique with paint applied in multiple layers with deliberate brisk stroke. 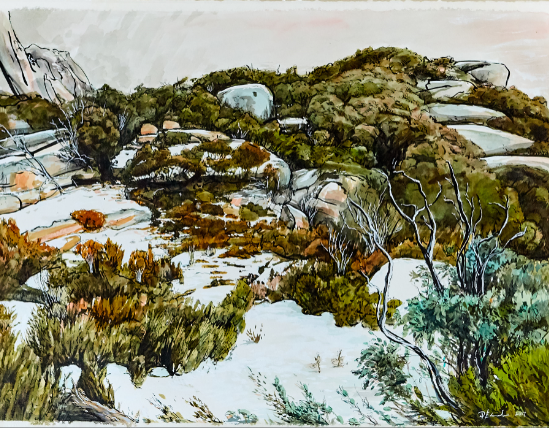 Colour flows and overpainting draws out the landscapes forms.